Book one of the World Adventurers for Kids Series, Alexander the Salamander is an illustrated picture book discusses the importance of listening to authority figures. A young salamander named Alexander living in the Amazon River Basin joins his friends Airey the Butterfly and Terry the Tarantula for an unforgettable jungle adventure. Come along with Alexander and friends as they meet birds, monkeys, and other creatures, enjoy the beauty of the rainforest, and face danger along the way. 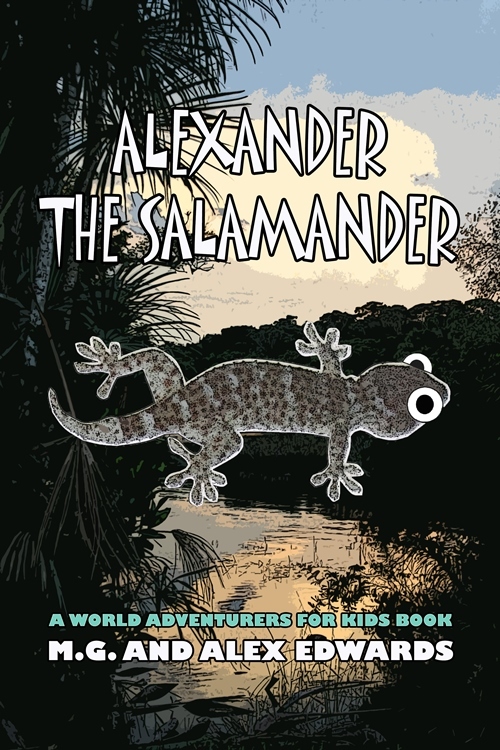 Alexander the Salamander was inspired by the authors’ visit to the Amazon in 2008. Fun for kids and adults alike, the story teaches children the importance of listening to teachers and other authority figures. The story features 22 color illustrations.